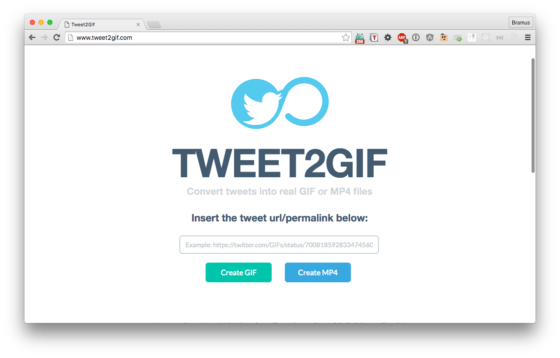 Ever wanted to download that gif that you saw on Twitter? Maybe share it on Facebook or other social networks? You’re at the right place! UPDATE 2018.02.28 Updated the URL to a Heroku URL since the tweet2gif.com domain got snatched.